Comments: The best web system for Telecom Site Audit, This is a 100% web tool that aims to monitor and evaluate the process of licensing and acquisition (internal customers, auditors and suppliers). Providing full support to the quality inspection process and audit with schedules, nonconformity records, evidence, adjustments and score. With the implementation tool it is intended that the customer gets significant cost savings, agility and excellence in the process. The tool is based on tasks originated by the office to field technicians, they then complete the form on the site and return the task to office review. Once revised, the survey is authorized and the system notifies those responsible for defects by e-mail. Each charge also has a login that allows them to see the defects found through tasks automatically created with the notification process. They then resolve the defect proof (photos) closing the task. Since all defects are rectified, the general task for that inspection may be closed. 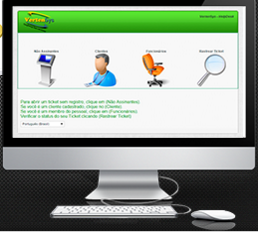 In summary, the tool works from the creation of site / inspection / defect, managing to close. There is also the possibility to use only as a survey tool - site survey for reporting (without the defect management). Adaptations in the solution for compliance processes and your business requirements will be possible agreed in the license agreement, through impact analysis. I await your contact for demonstration and presentation scheduling solution.